As good as new! 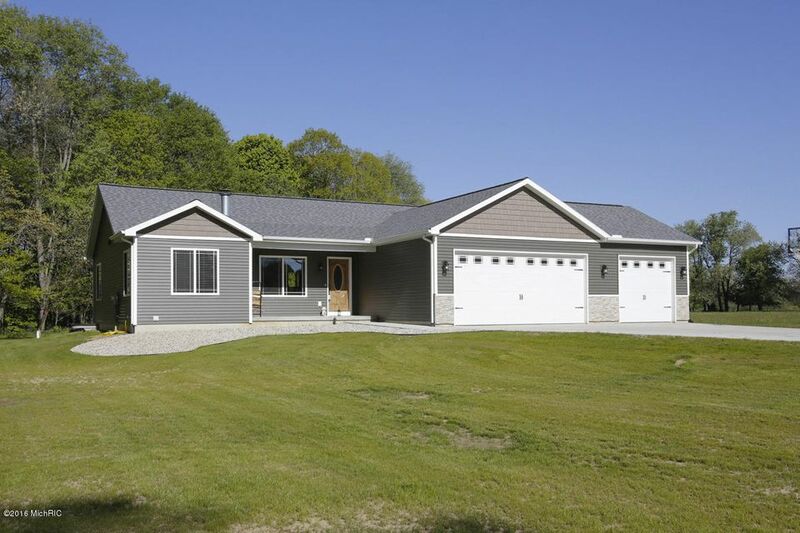 Situated on 2.5 acres in Otsego School District this 4 bedroom 2 1/2 bath home is built to last. Built in 2015, 2x6 construction, a cozy wood burning fireplace and a natural gas furnace makes this an energy efficient option. Featuring a warm inviting decor the semi-open floor plan features 3 of the bedrooms on the main floor, one of which being a huge master bedroom with large windows letting in tons of natural light. The kitchen has nice dove-tailed off-white cabinets, stainless steel appliances and a beautiful engineered hardwood floor. Don't forget a 3 car attached garage and a yard big enough for a pole barn!